Sell to Us Price: $767.31 each. Money Metals Exchange is proud to offer platinum bars in the handy Multigram pack. Each contains 25 of PAMP's 1 gram bars. The package is designed to be separated into 25 individual sections, each containing a bar and marked with the PAMP name, serial #, weight and purity. This brand new portfolio is available through our direct relationship with the renowned PAMP Suisse company. This Swiss refinery is perhaps the premier name in bullion bars. 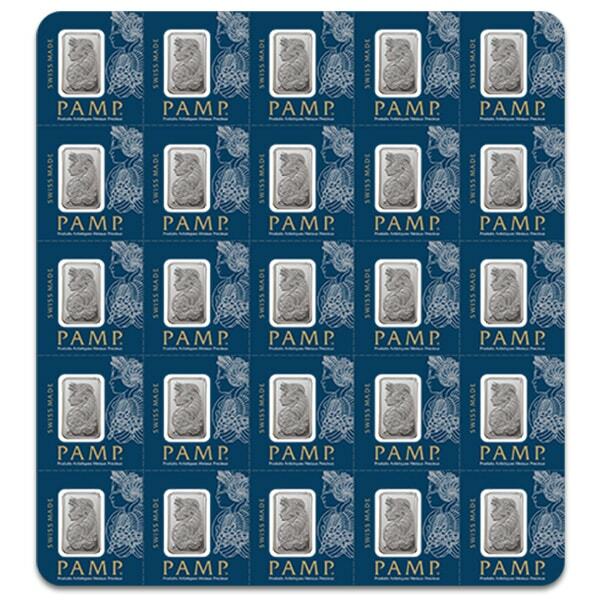 Easily recognizable by the Lady Fortuna design in the front of each bar, PAMP Suisse’s bars are classy and popular. 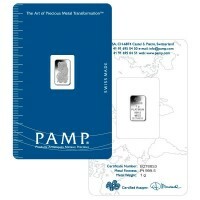 The size of the 1-gram PAMP bar makes this product ideal for barter or for selling in affordable increments. 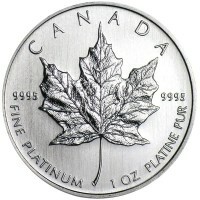 Contains qty 25 each 1-gram bars in .9995 fine platinum. IRA approval – PAMP Bars are eligible to be held inside precious metals IRAs. The front of each bar features Lady Fortuna, a Roman goddess representing fortune and luck. 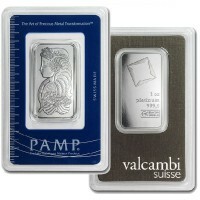 PAMP Suisse bars are famous for this lovely design. The goddess is blindfolded with hands outstretched to collect a bounty of riches flowing forth from the cornucopia that sits atop her head. The reverse side of each bar features the PAMP logo, bar weight, purity level, the assay mark, and an individual serial number. 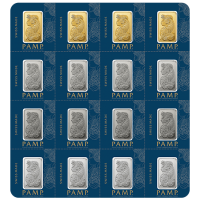 Buy PAMP gold bars when you want the ultimate in trust and recognizability. The PAMP Suisse headquarters are located in Ticino, Switzerland. The firm has risen to become one of the most respected refiners in the world. 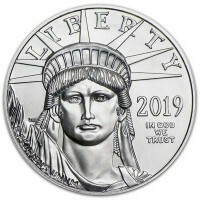 Our current buy pricing is $767.31 each and we will buy up to 10 ounces at this price. Simply call us on any weekday to lock pricing at 1-800-800-1865. Bought this on sale, 1 grams were selling for $39 each. Bought it this way which were $29 each a gram. I think platinum has huge upside. Does anybody remember before this year platinum was always more than gold and more rare. Excellent for my portfolio. 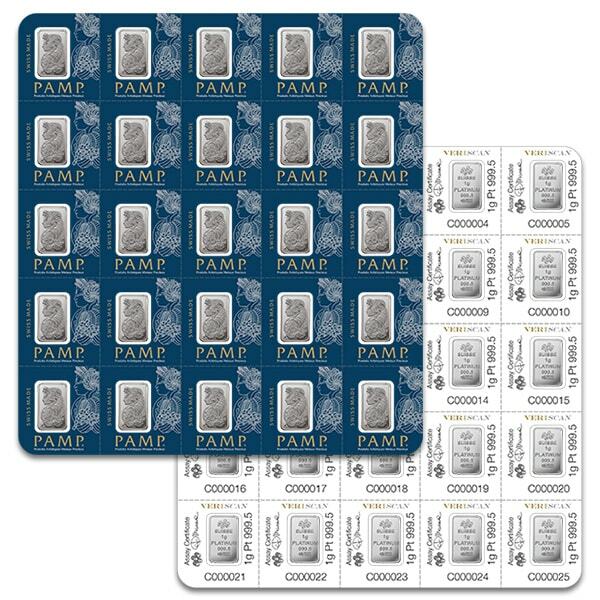 These PAMP Multigram +25 Platinums are small in size but big in impression. They measure about 3.375"w x 3.625"h and contain wonderful detail in every single one gram segment plus each individual bar is packaged with it's own unique serial number on the package reverse. I am happy to have purchased five Multigram +25s . 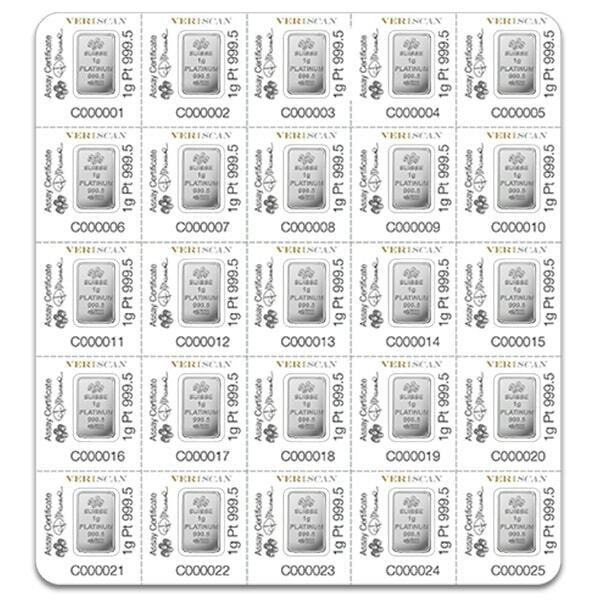 You can now sell your Multigram+25 Platinum - Qty 25 1 Gram Platinum Bars back to us online, at a price of $767.31 each!